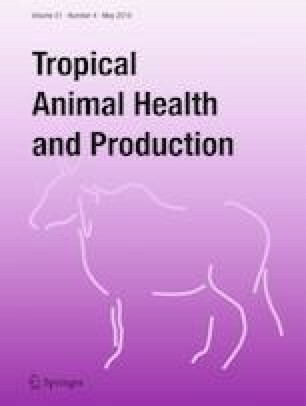 In tropical countries, one of the major threats for diary animal production is climate change. Ambient management interventions are beneficial and are the dire need of animal production in tropics. Ambient management intervention and its effect on physiological performance of lactating NiliRavi buffaloes were investigated during the hot dry months (April to June) of Pakistan. Fifteen lactating NiliRavi water buffaloes of similar size, age, and same parity were randomly stratified into three groups, comprising of five animals in each group, designated as group S, SF, and SFS. Animals of group S (control) were kept just under the shade while the animals in group SF were provided shade plus fan, animals in group SFS were provided the shade, fan as well as sprinklers during the hot day hours between 10:00 AM to 6:00 PM. Shed conditions were same for all animals, isonitrogenous and isocaloric feed was provided to all animals. Milk production decreased with the increase in ambient temperature. Average dry matter intake in group S, SF, and SFS were 75%, 80%, and 90% of the total feed offered to the experimental animals, respectively. The mean rectal temperatures (°F) were 101.69, 101.19, and 100.85 in group S, SF, and SFS, respectively. Heat stress had pronounced effect on blood glucose level as indicated by the mean glucose concentration in group S and SFS being recorded at 78.04 mg/dl and 90.47 mg/dl, respectively. It is concluded that the buffaloes should be provided with sprinklers and fans to minimize heat load and maximize the production during hot dry season.